The United Nations has selected Ericsson to supply LTE based networks for mission-critical communications required for their global peacekeeping missions. Alongside the partner Danoffice IT ApS, Ericsson will lead the implementation of mission-critical LTE networking equipment as well as professional services and training. The LTE networking equipment is from the 5G-ready Ericsson Radio System portfolio, including the MINI-LINK microwave backhaul solution, in combination with Ericsson Cloud Packet Core. This LTE network will significantly improve existing communications by providing stable, secure, and future-proof mobile broadband services for peacekeeping troops, often operating in tough geographical terrain and conditions. Together with the latest mission-critical push-to-talk, data and video capabilities, specifically designed for professional use, communications will be enriched to embody the full multimedia experience. Currently there are 14 peacekeeping operations around the world led by the UN. These missions typically have permission to use radio spectrum for planning, coordination and implementation of their activities. The first live UN Private LTE networks are expected to be up and running in 2019. By standardizing their communications in this way, the UN ensures peacekeeping troops will have the latest communications systems as well as a cost-effective way to add new digital broadband services, such as HD video for real-time situational awareness, mobile positioning and cellular Internet of Things (IoT), including asset management and connected logistics solutions. Private LTE is an Ericsson Private Networks solution that provides governments and industries with critical mobile broadband solutions, serving both users and IoT-enabled devices. 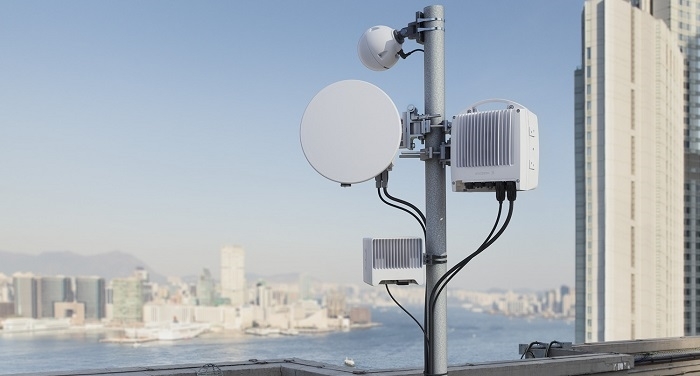 MINI-LINK is Ericsson´s microwave backhaul solution, with traffic between radio sites and core network being realized over the air instead of physical media such as fiber. This technology supports high capacity and superior performance with a low cost of ownership.